Buying and selling MMOG currency just became a whole lot more legal in Korea. 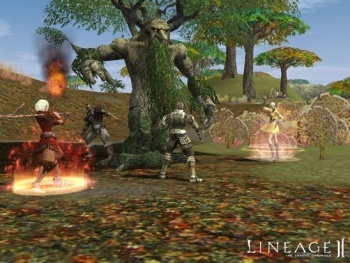 Earlier this month, Korea's Supreme Court acquitted two defendants who were on the hot seat for buying and selling virtual currency and items with actual money in the MMORPG Lineage. The court effectively ruled that virtual currency is the same as real world currency, meaning it can be exchanged as such legally, and is the first ruling of its kind in Korea. Defendants Mr. Lee and Mr. Kim allegedly purchased 234 million won (about $200,000) of Lineage "Adena," and resold it to hundreds of the game's players for a profit of 20 million won ($20,000). The key factor in the case was that virtual currency in Lineage was determined to be obtained by skill, time, and effort, as if it were payment for work, rather than luck. The same rule would not apply to online gambling. It's expected that virtual currency and item exchanges will spread following this ruling, if not completely new business models. The government may collect a tax on all transactions now that the trade is legalized. Korea is just the sort of place where something like this would happen, with online videogame popularity through the roof in the country. I would be interested to see what happens in a case like this, where trillions in virtual currency was accidentally awarded to certain Aion players. Would these players go to jail if they were to sell it, or even trade it in-game? What would the consequences be if a server has to be rolled back, causing players to lose "real" money that they had earned? It seems like this ruling could introduce a whole new host of problems.